Southern & Jewish celebrates the stories, people, and experiences – past and present – of Jewish life in the American South. Hosted by the Goldring/Woldenberg Institute of Southern Jewish Life, posts come from educators, students, rabbis, parents, artists, and many other “visitors-to and daily-livers-of” the Southern Jewish experience. From road trips to recipes to reflections, we’ll explore a little bit of everything – well, at least all things Southern and/or Jewish. Shalom, y’all! 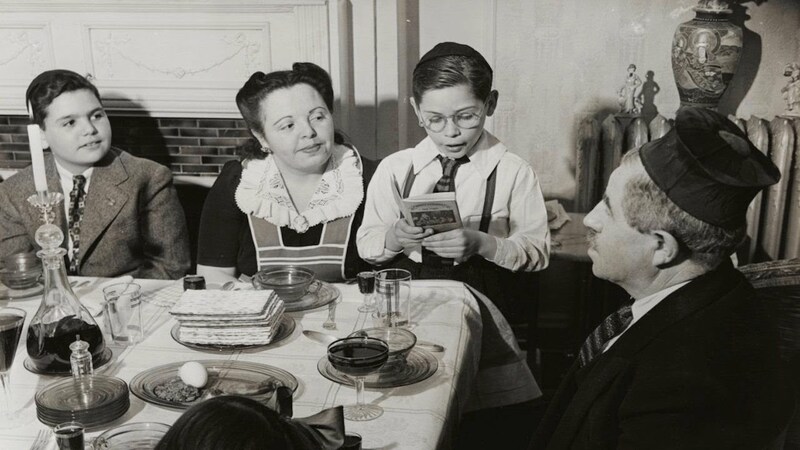 Most children look forward to the Passover seder. Families recount the thrilling story of the Israelite exodus from Egypt, delicious food is plentiful, and a scavenger hunt eventually transpires for the hidden middle matzah, or afikomen. Yet, for many years in elementary school, I felt nervous as soon as my hagadah opened. As the youngest of five siblings in my family, I was responsible for asking the Four Questions. These ritual questions address the distinctive elements of the seder, alongside the bitter herbs and comfy pillows. Although vital and purposeful parts of any seder, the Four Questions reflected a relatively stressful obligation as I nervously sang in front of friends and family. Over time, I appreciated my special role. Not only did I feel more confident, but also posing the Four Questions became less performative and more a function of supporting the Jewish soul—especially as I learned this core truth from my tradition: Judaism thrives on questions. The Talmud’s rabbinic debates, for example, ponder the meaning behind sacred law and honored lifestyles. Furthermore, the Jewish heritage constantly wrestles with arguments between adaptation and preserving custom. The Four Questions renew this tradition each spring. The youngest child’s central inquiry “how is this night different from all other nights?” spurs the annual retelling of the Passover story from Moses in the basket to the splitting of the Red Sea. In that spirit, I want to highlight the four questions that I will ask during Pesach this year. This line, historically spoken by Dr. Martin Luther King Jr. in 1957, reminds us of our place in the global village. Too often, superficial concerns and narcissistic attitudes obscure our attention to the community. This commonplace ignorance sidelines those that live with trauma or without access to productive change. If we face our complicit unawareness, however, we can begin a process of reaching out and taking action. The selfless intention to volunteer, educate, and support empowers relationships of value and embraces a greater equitable, just future. Particularly, on Pesach as we review the Exodus narrative, this question of social responsibility looms large. Consider an average day in the workplace or classroom: the individuals we engage in conversation, the conflicts we witness, and the time we spend engrossed in technology. Each reflects an occasion in the day when we can take more initiative. Moses encounters similar circumstances at the burning bush as God calls him to return to Egypt and face Pharaoh. By heeding this sign, Moses ultimately rises to the status of savior. While our own conditions may not appear as dire, we would do well to build passionate, forceful personalities. Exercising our voices and promoting partnerships amplify mundane environments to opportunities for progress. How Do We Respond to Animosity and Hardship? Retelling the Pesach story, annual Seders remember the bitterness of Israelite slavery, as well as the unprecedented suffering of Egyptian citizenry. But injustice and pain still remain contemporary realities. Violence, intolerance, and the consequences of natural disasters overwhelm the media on a desensitizing scale. Still, we cannot afford to stay numb. Our reactions to abuses of power and tragedies matter despite the insignificance we may feel. When we hold leaders accountable or advocate for victims, we acknowledge our vital role in promoting relief and healing. The mi shebeirach prayer calls upon our ancestors as examples of blessing and wellness in the world. May its message continue as encouragement for our efforts to repair and renew. Are We Holding Fast to Our Dreams? “L’shanah haba’ah biyerushalayim – next year in Jerusalem” is the phrase we utter as the Passover seder comes to a close. Soon after that, it’s time for some final munching of the afikomen and our fond goodbyes. But are we paying enough attention to the seder’s final instruction, and the dream it represents? As I see it, the line expresses a righteous aspiration to make peace as was once imagined in ancient Jerusalem. We regularly lose sight of Passover’s origins as a pilgrimage festival, a time to reaffirm Judaism’s communal spirit. In the year to come, we should aim to not only identify our goals but also strive to make good on promises and visions—to hold fast to our dreams. As you indulge in matzah kugel and other delights this year, you too can make a list of your own. Remember, finding conclusive answers is not the objective. The process of questioning stands on its own, motivating our enduring curiosity and mobilizing a thirst to rebuild. The 14 steps of a traditional seder.